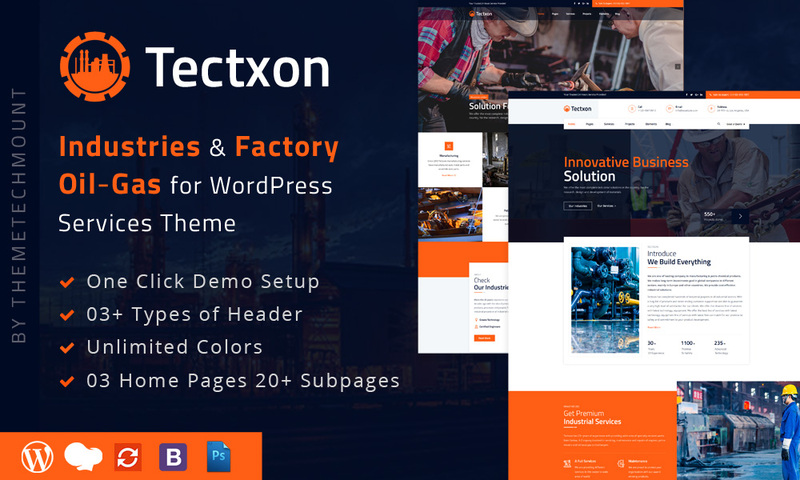 Tectxon — Premium multipurpose WordPress theme that is a perfect solution for creating professional Industrial, Manufacturing, Factory, Company, Small Scale Industry, Business, Engineering websites. 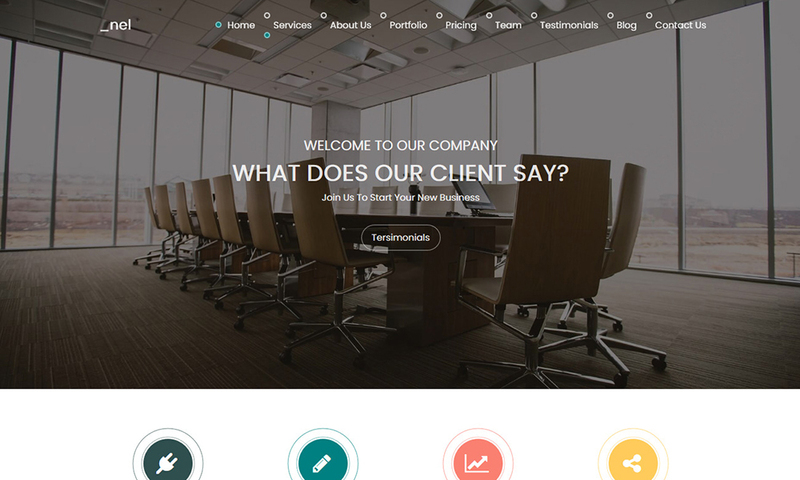 Tectxon WordPress Theme has beautiful & unique design that will be best suited for your industry online web presence like projects, blog, testimonial and team pages etc. 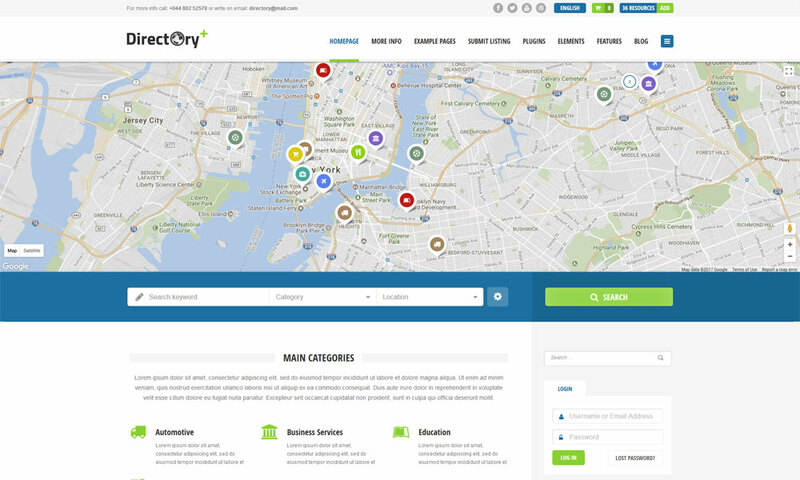 It has 100% responsive design and tested on all major browsers and devices. 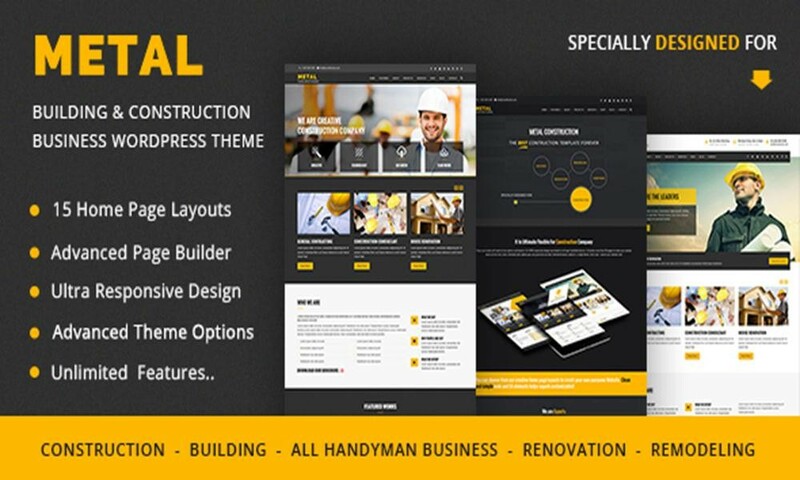 Theme based on Codestar WordPress Framework, WPBakery Page Builder, and Slider Revolution plugin. The Tectxon comes with 3 different pre-made homepages, has unlimited creativity in design and colors, flexible layouts and super powerful functionality for portfolio and other elements – anything you might need to make a beautiful website. Build your own website with our awesome Tectxon! Please check more information below! Sidebar Manager - Sidebar to the left, the right, or a fullwidth page or post! (global or page/post specific) and also unlimited sidebar too. VIEW MORE DETAILS | PURCHASE NOW!